Did you know that September is National Guide Dog Month? As someone who has spent time working with teenagers and adults with special needs, I know firsthand how much dogs can change the lives of those with disabilities. One of the few communities I hadn’t worked with, however, is the visually impaired. For them, guide dogs are everything, since they are not just their eyes, but a faithful companion that keeps them safe and lets them know constantly they are loved. That being said, many people don’t know how to react to the visually impaired and their helpers, making the situation awkward for everyone involved. Would it be great if you could understand them and their guide dogs a bit better? 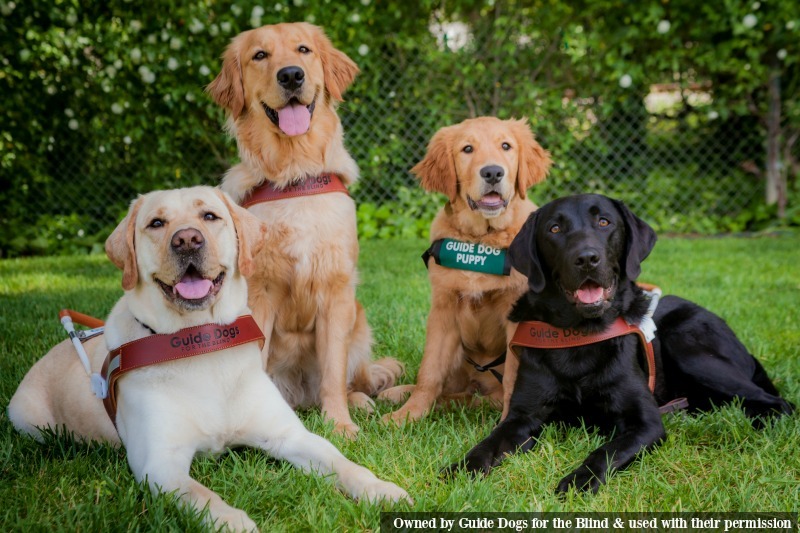 As part of National Guide Dog Month, we are excited to be partnering with Natural Balance and Guide Dogs for the Blind (a non-profit charitable organization that raises and trains exceptional guide dogs to serve the blind and visually impaired) to recognize the ‘Top Human-Canine Teams Who Make Us Believe’. 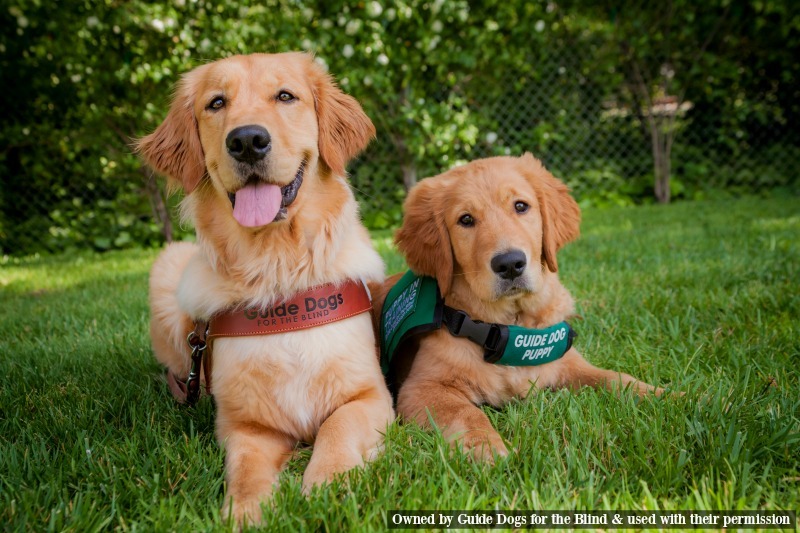 These nine teams are an outstanding example of the amazing partnership possible between humans and their amazing guide dogs. 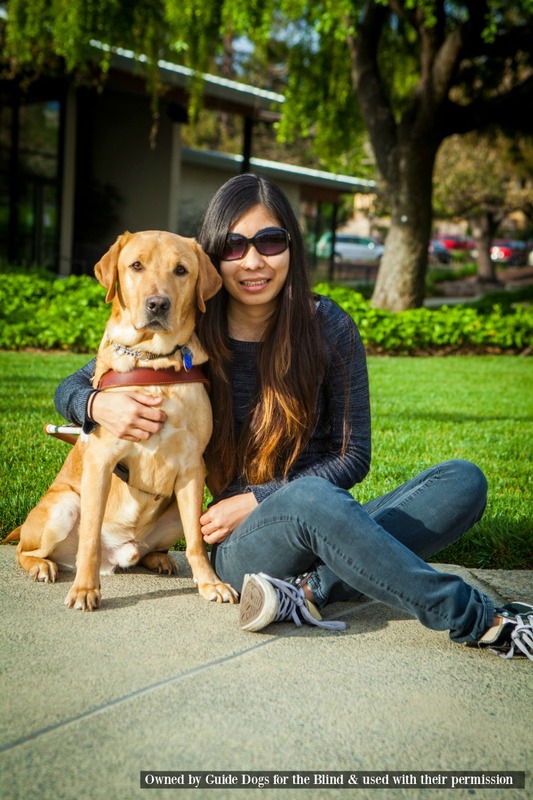 We were inspired the most by Michelle Yoo and her guide dog Oscar. Born with glaucoma, she had spent most of her young life unable to navigate the world, constantly having bumps and bruises. While working on her undergraduate degree in psychology, she made a split second decision to apply for Guide Dogs for the Blind, who matched her with her beautiful golden guide dog companion Oscar. The two immediately fell in step with one another and within two months became lifelong partners. For the first itme, she could walk with confidence on campus and do things she could never imagine with ease. Today, the two tackle intense psychology and jiu jitsu classes together. Of course, they also leave the room for playtime, making sure that both Oscar is just as happy as Michelle. Now, Michelle and Oscar are primed to tackle deadlines and take the mental health field by storm with their partnership. If there is one thing that won’t keep her down, it is blindness! Part of what inspired us so much about this story is how it resonates with us – Ivi regularly helps children with special needs. Throughout the year, she visits a children’s psychiatric hospital, where she is a calm and comforting presence. As well, Ivi is excited to be working with her parents and her little sister Rylie to make people everywhere smile with their antics. If there is anything Ivi loves to do, it is help people smile – whether children facing a difficult time, or simply helping her mom with her own anxiety. To read other amazing stories like Michelle and Oscar’s, make sure to head over the Natural Balance website. Along with reading the eight amazing stories of these human-canine teams, you can also donate to Guide Dogs to the Blind. Do you know any amazing canine and human pairs, especially those with special needs? Make sure to tell us about them in the comment section below! In New Zealand you can sponsor the guide dog puppies .I think it’s a brilliant and worthwhile charity. Wonderful post. I’m always fascinated by guide, service, and rescue dogs. Great article and I did not know that September is National Guide Dog Month so it’s very interesting! This is a great cause! someday we hope to help train a guide dog. we know someone who has trained one. Guide dogs are amazing and it’s important to ALWAYS ask before you pet a dog as the dog is working and can’t be distracted! Guide dogs are so amazing! What a blessing to those they help. This is a really cool post for a very good cause. I first learned what a guide dog was from the tv show “The Golden Girls”, when Betty White’s sister needed a seeing-eye dog. Guide dogs really are wonderful. I’ve even read about how some courthouses have “service dogs” for witnesses (particularly children) who might have to give testimony; the dogs help calm the witnesses down so it’s easier for them to testify. My boyfriend’s cousin works at a place that trains guide dogs. It’s amazing what these animals can do. So smart! My friend uses a guide dog and it has made her life so much better. Very worthwhile organization. I will share this post to my friend who loves dogs. I wish we can take care of one. Dogs are so amazing. I appreciate everything they do for their humans! A seeing eye dog can do so much for a person who is blind. We are actually in the process of training one of our dogs to be a guide dog. Thank you very much for sharing this, was very informative. I love how helpful guide dogs can be. These pups are of true honor. What they do for their owners is so heroic. Thanks for featuring this post to honor them. I love this!! What an amazing way to make a change in someone’s life!! I’m not an animal lover, but guide dogs are a blessing. They really do save lives.